Seven-time Monster Energy NASCAR Cup Series champion Jimmie Johnson and two-time Formula 1 champion Fernando Alonso will go for spins behind each other’s race cars on Nov. 26 in Bahrain, the day after the F1 season-finale. The NASCAR Cup Series season ends Nov. 18. Alonso mentioned a ride swap to Johnson at Daytona (Fla.) International Speedway in January. “I went after it hard right away. I wasn’t going to let a passing comment slow me down,” when asked about the swap during the NASCAR race weekend at Texas Motor Speedway that culminated in Sunday’s running of the AAA Texas 500. Johnson already has been preparing for the swap, modifying his workouts to further work his neck muscles in preparation to drive Alonso’s F1 car all day. He’ll go to London after the NASCAR season-finale to spend time in McLaren’s simulator and have a seat fitted. 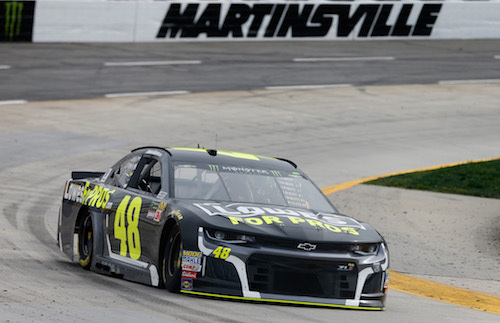 The extra preparation is a result of a conversation between Johnson and former teammate Jeff Gordon about a similar ride swap between Gordon and former F1 and NASCAR driver Juan Pablo Montoya in 2003. One of Johnson’s No. 48 Hendrick Motorsports Chevrolets has been shipped to Bahrain. A crew of HMS mechanics will be on hand to assist Alonso. The Johnson/Alonso ride swap will be the third known swap between NASCAR and F1 drivers. Tony Stewart and Lewis Hamilton swapped rides on a rainy day in 2011 at Watkins Glen (N.Y.) International. Johnson is under contract with Hendrick Motorsports through the 2020 season. Alonso, though, is retiring from F1 competition at the end of the 2018 season.